For several years I have attended Sardegna because of the Contemporary Music Festival of Cagliari, organised by the association ‘Amici della Musica’. 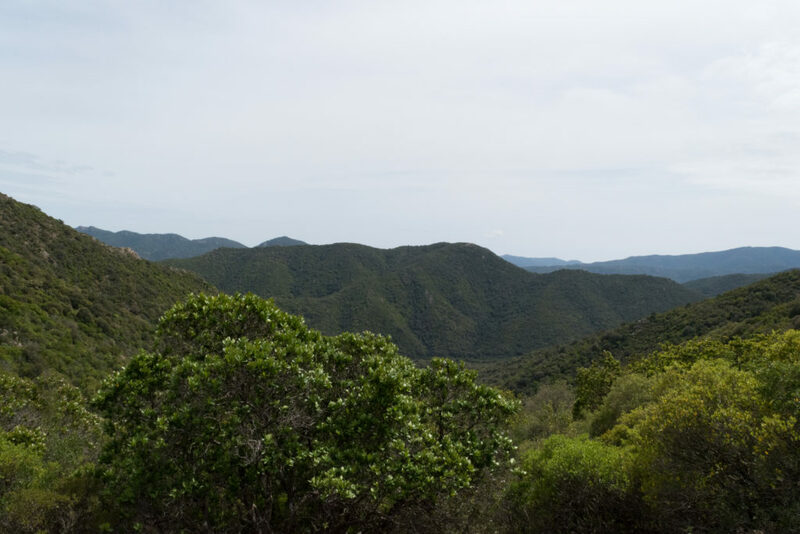 I had never been there with the specific purpose of making field recordings, going around natural reservoirs and Sardinian countryside. 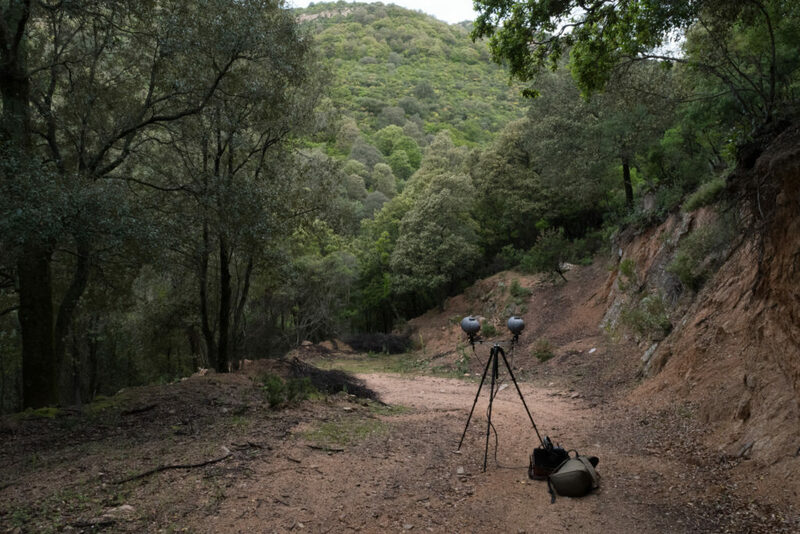 This opportunity came to me when I have been invited by the same association to take part into a European Project, which in Cagliari started with a workshop about naturalistic field recording and soundscape given by Bernard Fort. Bernard’s approach is very interesting and very different from mine: he is very active on the field and, once in the studio, he cleans sound by filtering them and uses the results in order to compose a soundscape which is an ideal representation of a specific ecosystem. Moreover, Bernard is a deep connoisseur of nature and particularly of the bird species that inhabit the places where he goes and records. On the other side, I tend to exploit the recording time as an opportunity for a nearly meditative contemplation. The choice of a spot, of a point of view, the wait and deep listening: these are the elements that made me interested in soundscape. This kind of approach is also quite different from the so-called American school of the soundscape ecology, where the basic idea is to not exist as a field recordist, to disappear in order to study nature as it would be without men around. Behind this there is a nearly scientific interest which is intriguing but not enough for me to satisfy my curiosity. When I record I also want to be there listening and I’m recording my point of view, not just from a good spot. Nonetheless, in this case I had a sort of mixed approach: short recordings, many different spots and the idea of obtaining a sort of portrait of the places I was visiting. Forgetting about this sort of aesthetic stance, in this trip I haven’t been particularly lucky, at least from a technical point of view. My small Sony PCM-M10, which I always used in conjunction with two Marenius C48 preamps, started fooling me: the headphones out did not work well and the recording level was different for left and right channel. This forced me to borrow a Zoom H6 from a friend (and I’m not a great fan of Zoom handheld recorders). I kept using my preamps in order to avoid the noise and lack of depth and precision of Zoom H6 mic inputs. Unfortunately, the hotel in which the association booked a room for me had a strange security system against any kind of waste of electric energy: the room circuit was stopping working as soon as the door got closed from outside… very curious. And very lucky, as it got quite difficult to re-charge the 8 AAA batteries that I needed in order to run my Marenius preamps. Thence, in a few occasion I used the Zoom H6 preamps (you will hear that in part two). Despite all of this I managed to get a few interesting and quite representative recordings. The first place in which I recorded was the S. Elia promontory. A pretty fascinating place, a promontory that divides in two half the Cagliari coast: the Poetto on one side, the industrial sites on the other, the city behind. Of course, because of its position it is also a very acoustically polluted place. Anyway for the workshop participants it was the first opportunity to handle professional equipment and work in the field, therefore it was good to be near town. For me it was an opportunity for getting used to the rhythm that were going to characterize those days: 3-4 hours sleep, alarm set at 3:30-4:00, long walks with the equipment on my back. Unfortunately I have no photos of the place – I was very busy trying to understand why I couldn’t hear anything on the right channel.. anyway I managed to capture (with my Neumann KM184 in a sort of NOS) the Serinus Serinus song, the Sylvia melanocephala and the black bird alarm, the song and the alarm of the Sylvia atricapilla (many thanks to Salvatore Bondì for recognizing the bird songs in all my recordings). This is the only recording in which I managed to limit the noise coming from the town and the sea, mainly exploiting the soil shape. Made at about 5:30 am. The second day we went to a far more interesting location: the Monte Arcosu reservoir, i.e. the biggest forest of mediterranean ‘macchia’ in the whole Mediterranean Sea. Not bad for a national park that is at about a half hour by car from the town. We tried to arrive in time to record that magic moment of growth and accumulation of sound which is the sunrise. Unfortunately the bad organization of the trip did not allow us to do that. The cars, normal city-cars, were not good for the kind of terrain of the reservoir and after the very first gate we have been obliged to go really slowly in order to not damage the vehicle. Despite this I am pretty satisfied of the recordings I’ve done. This very first one, made at about 7 am, a Troglodytes troglodytes and a Sylvia atricapilla decided to duet whilst big drops from the morning rain fall from the trees around. In this second one, parus major and Sylvia atricapilla, 7:20 am..
As soon as I arrived on the top I realized that no one was there. I was nicely alone. As the wind was so strong that my Cyclone weren’t enough anymore and I had been obliged to turn on the hp filter on my Marenius, I decided to get back to the valley and explore the riversides. Once back to the valley I was a bit sleepy and pretty hungry.. I hate one of my panini and took a nap on the riverside. 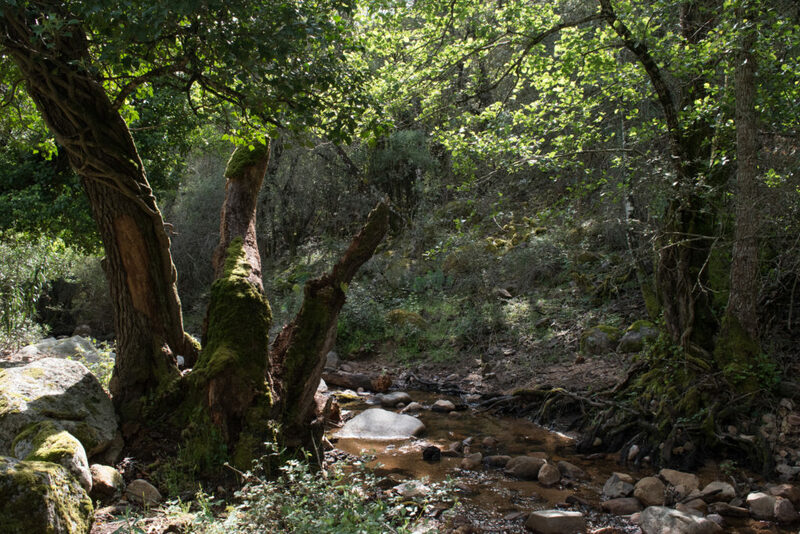 As soon as I woke up I recorded the gargling of the river water hitting rounded stones and branches, one of those sound that I could listen to for ages. As the river was plenty of small and noisy falls I decided to use the Neumann and point them away from the nearest fall, which was just behind me. A few hours later I had finished my walk around the riverside without getting any interesting recording, just a great tour of the reservoir. I finally managed to meet the other people again: they had spent much of their day in a building of the WWF reservoir custodians and mainly recorded the waterfalls. In the following days I went to other reservoirs and parks, this time totally alone, but that’s something for part two..